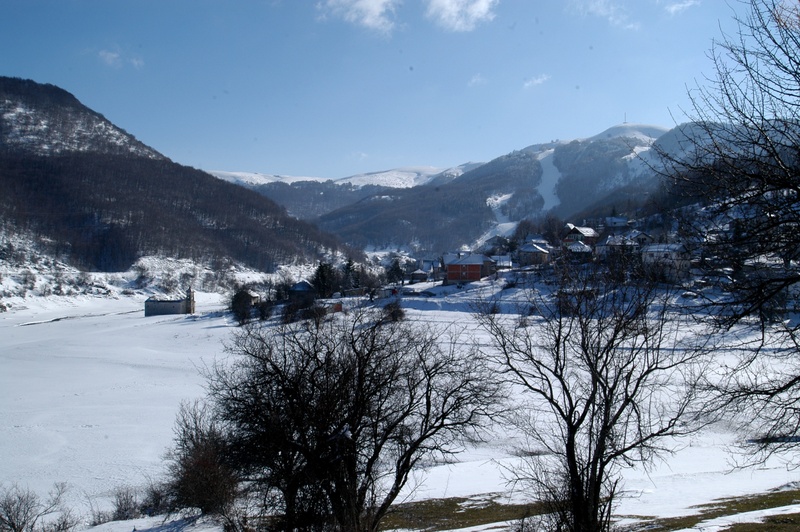 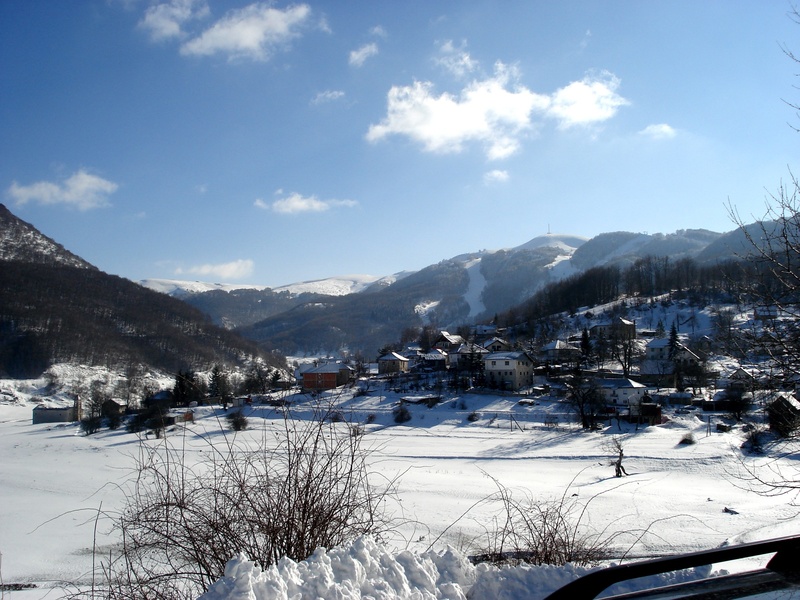 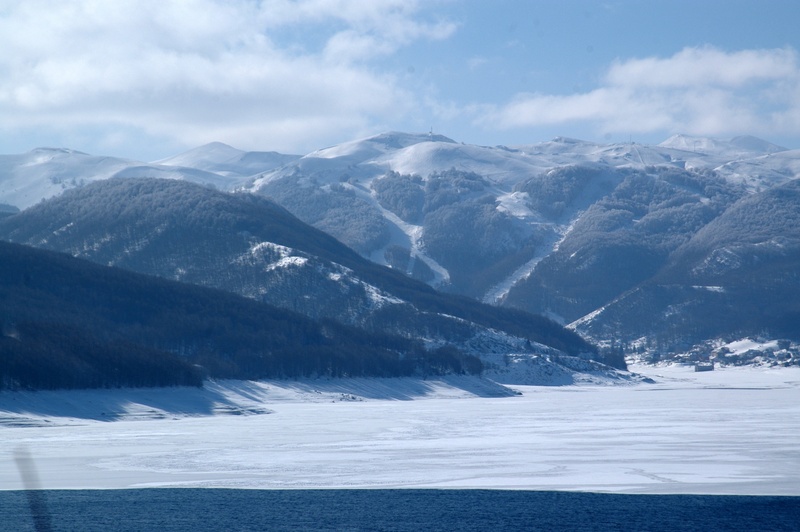 The mountain all-season get-away town of Mavrovo has the unique distinction of having two churches dedicated to the same saint. 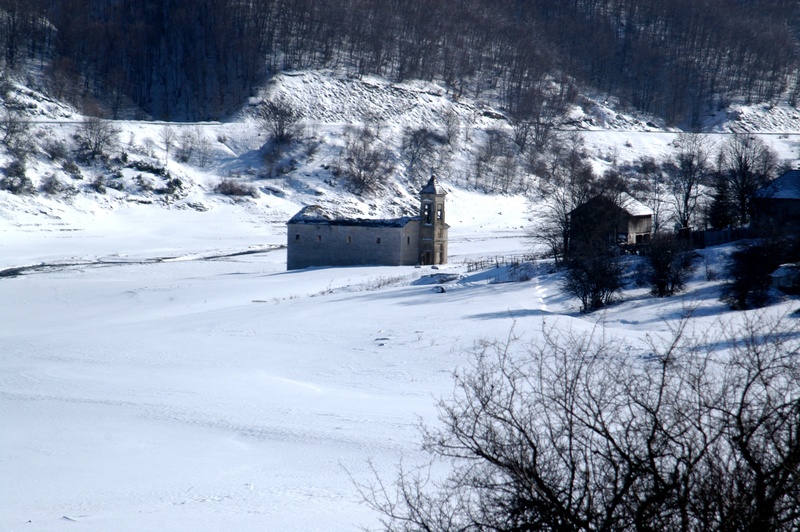 The first church known as Stara Sv. 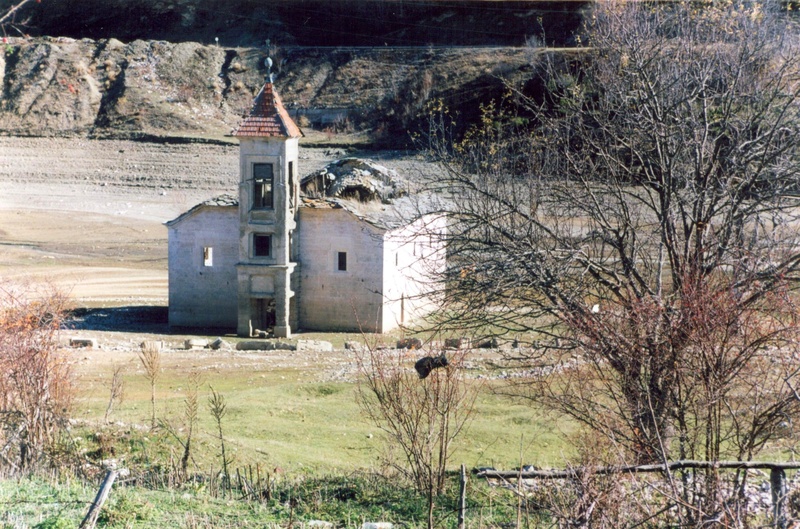 Nikola, Old St. Nicholas, was built in 1850 and served as a sacred site for аbout a 100 years until the dam was built and the artificial lake known as Lake Mavrovo was created. 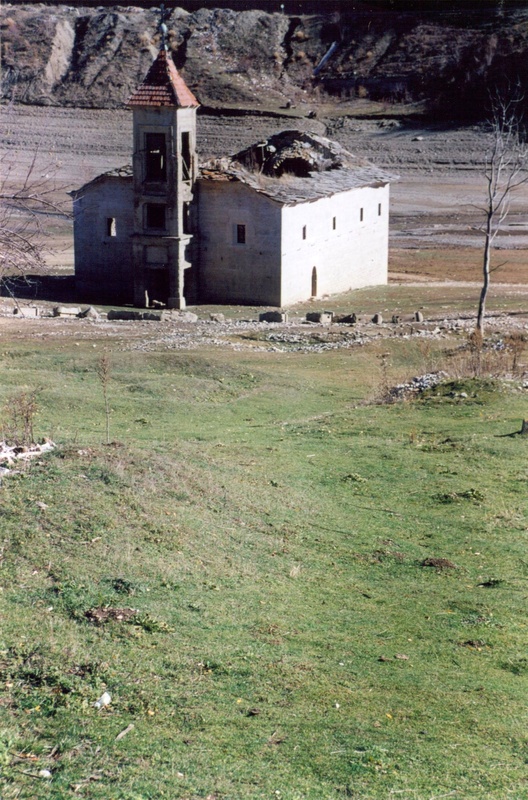 For many years this church was partially submerged in the lake and droughts of recent years have allowed for access to the church by foot. 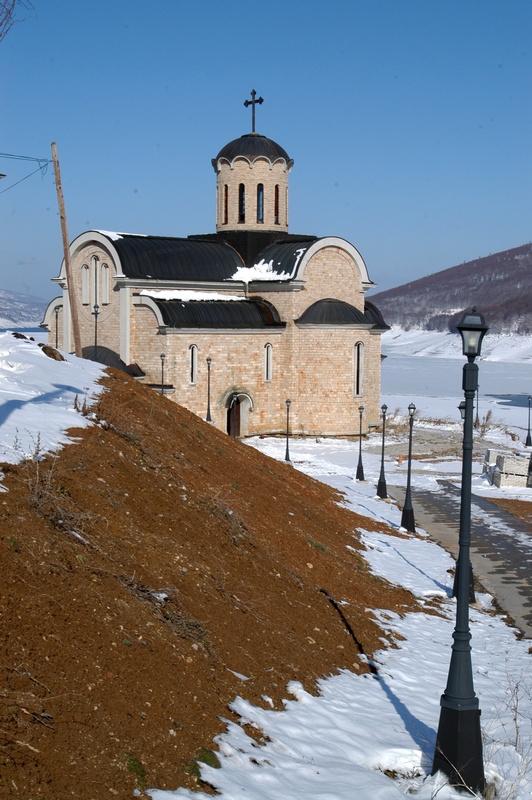 The valuable icons in this church were temporarily relocated to a little church tucked away on the side of hill (second gallery below). 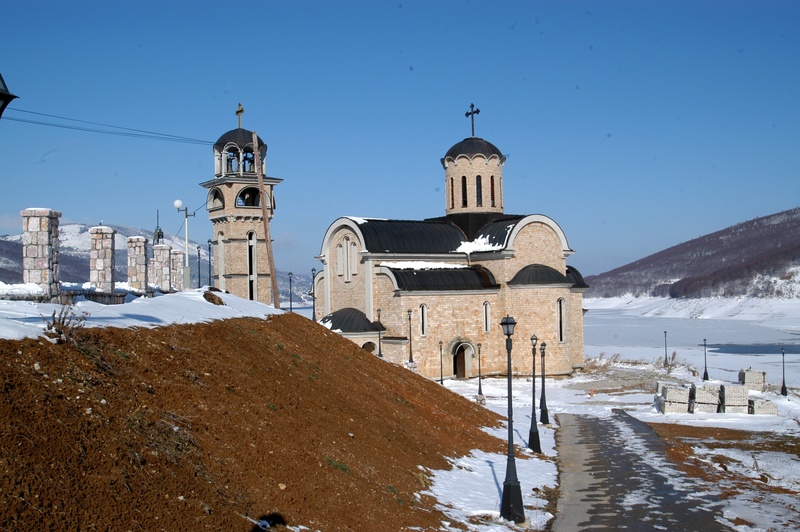 The second church dedicated to St. Nicholas, also known as Nova Sv. 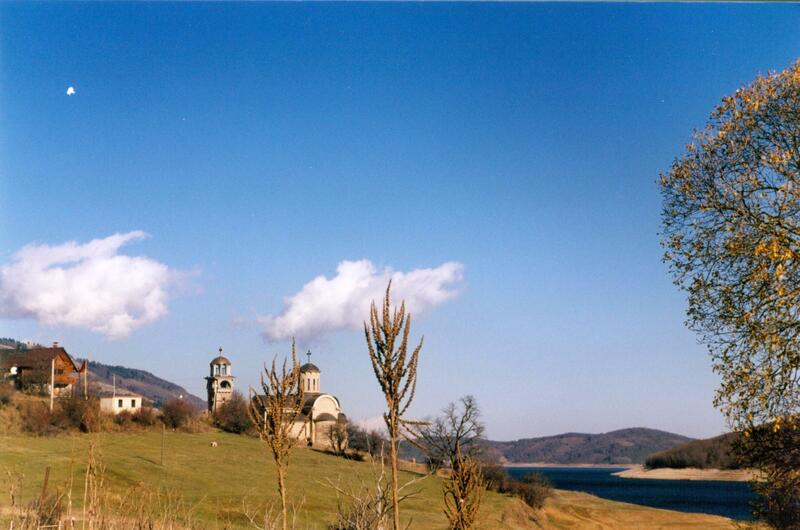 Nikola, New St. Nicholas was built on the shore of Lake Mavrovo in 1996 (third gallery below).